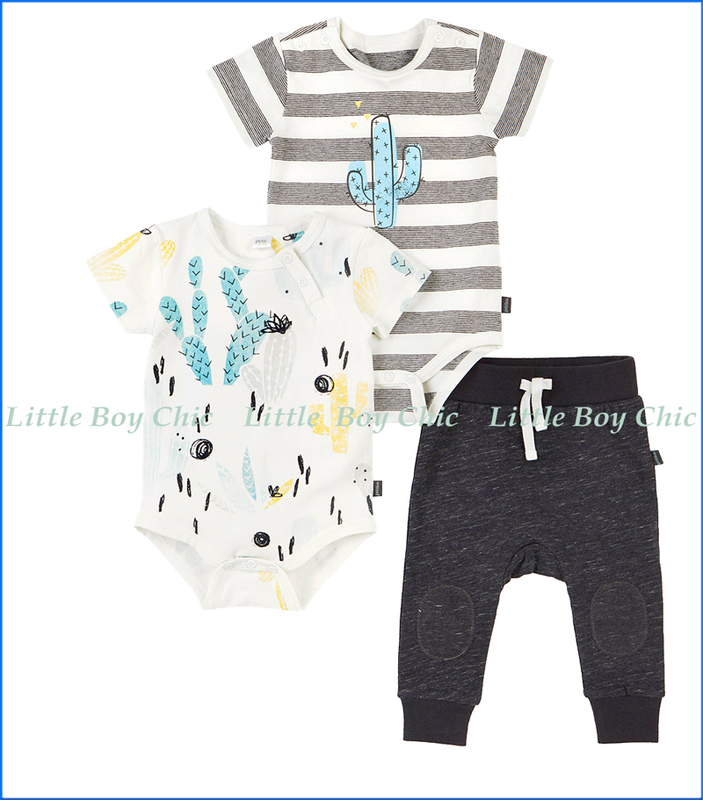 These breezy, all-year round favourites feature Petit Lem's signature onesies in succulent cactus prints and luxe yarn-dyed cotton jerseys (two). Bottoms are space-dyed jogger pants which are gathered at the ankle and styled up with a contemporary rib. The engraved shiny white buttons are embroidered on the sides of the necklines of our onesies and seamless poppers have been sneaked in between the legs for easy dressing.